MTÜ Eesti Elektroonikaromu juht Aivo Kangus näitab MTÜ Rehviliidu kogutud kasutatud rehvide mäge Maardus Lao tänaval. 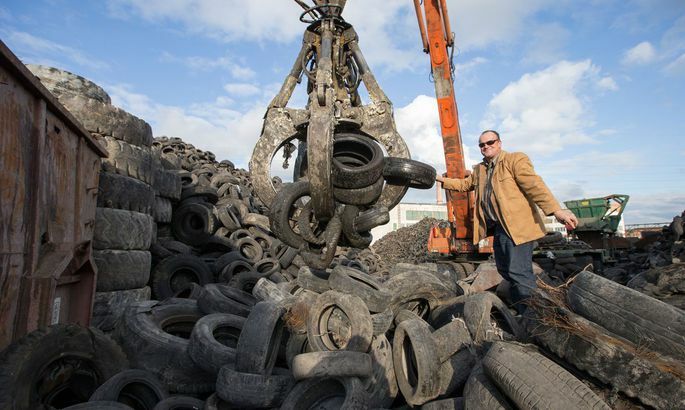 Environment ministry will target enterprises trading with electronics and tyres which, say the officials, are importing goods harmful for nature while unwilling to pay for recycling thereof. Rehvide kõrval leidub ka hulgaliselt elektroonikajäätmeid. «Environment ministry has identified nearly 1,500 enterprises which neglect to fulfil obligations prescribed by Waste Act and are releasing problematic products unto our market regarding which the state lacks data,» said waste department chief specialist at the ministry Kerli Rebane. She added they will shortly send them all letters asking the law to be kept. The firms allegedly violating the law were sifted out by apprentices at environment ministry who searched the Internet looking for firms selling tyres, household appliances and electronics. They singled out such as advertised the service yet had not joined the organisations meant to recycle problematic waste, nor had they reported their operations. The ministry got nervous as, while EU directives prescribe ever increasing amounts of problematic product scrap collected, in Estonia it is in decline. Four years back, 5 kilograms of old household appliances and electronic devices were collected per person; in 2013 it had shrunk to mere 3.5 kg. «Environmental Inspectorate will be visiting enterprises and it must be considered that the highest fine stands at €32,000,» warned Ms Rebane, adding that the officials are not spurred by Brussels but are sincerely after cleaning up Estonia. Meanwhile, the ministry lacks a plan in case all enterprises which got the letter will not only answer but opt to ask additional questions. They expect a hundred or so to respond, and the Inspectorate will be able to visit two dozen. «We wish to let the entrepreneurs know of their obligations so those who did not know about the law could either change area of activity or begin keeping the law,» explained Ms Rebane. Producer-liability organisations collecting end-of-life electronics think 1,500 violators is a bit too much to claim. 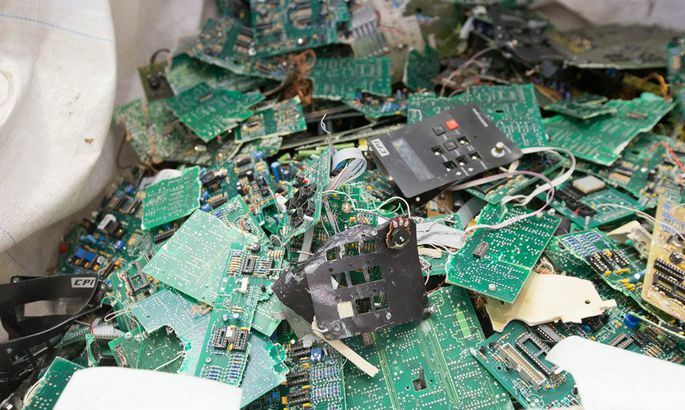 The competing EES Ringlus says that only a tenth of electronics sold in Estonia would perhaps be avoiding recycling obligation. «We have the largest importers as our customers and here the proportion is that a fifth of market players sell 80 percent of all goods,» said EES Ringlus chief Margus Vetsa. But both said Internet sellers are avoiders for sure. «Lion’s share of e-stores are not covered by producer’s liability and the rest on the market must cover the costs related to their activity,» noted Mr Kangus. To which Mr Vetsa added that blame lies at the toothless watchdog. «But I do realise the Environmental Inspectorate just hasn’t the resources for more,» he observed. But the Tyre Association, in its collection areas, must receive all used tyres without limits on amounts and for free. «If this guy comes and brings us five tonnes of tyres and says he wore them all out himself, it sounds incredible. And, at further inquiry, turns out he got them at this tiny tyre workshop,» added Mr Kuurme. In my opinion things are rather okay with end-of-life collection. All major importers have joined the producer liability organisations and it makes no sense chasing those who pick stuff apart in their garage somewhere – they happen. There are the larger cheats on the market, sure, who unscrew the spare parts from household appliances and then try to hand the rest for free to EES Ringlus which we founded. We don’t obviously like it, as EES Ringlus must also cover its costs from its operations. As at today, Estonia is falling short of the targets set by directives regarding end-of-life electronics and batteries. As the targets are raised in years to come, we will continue to fall short. In 2013, Estonia had 3.53 kg of end-of-life electronics collected per inhabitant but since July 1st last year it has to be 5 kg. Batteries need to be collected a quarter of what is sold, but last year we barely reached 24 percent. Next year, the demand is raised to 45 percent. Environment ministry has ascertained Estonia has close to 1,500 enterprises unregistered in problematic product register not submitted their data thus avoiding the legal obligations. Thus, Estonia lacks overview of a substantial part of the problem products on market. The current situation is affecting competition and causing inequality as the law-abiding producers are forced to also recycle the waste created by avoiders.